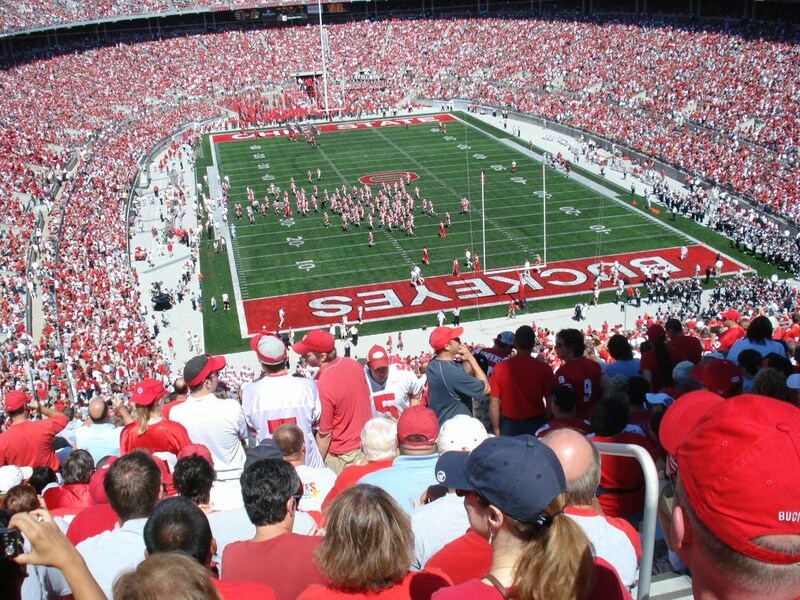 If you have never traveled to Columbus, Ohio, for an Ohio State Football game you are missing out on a real treat. There are few places that I know of where the whole city is crazy over their football. You may see team colors worn in other cities but in Columbus it is the norm, the expected. If you aren't in red and gray, you will stand out. 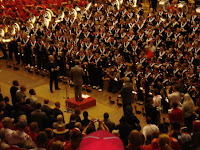 While tickets are hard to come by and you may not want to spend the big bucks for a seat in the stadium, you can still soak up the atmosphere and the excitement at the skull session for the bands in St. John's Arena. It starts about 2 hours before the game but you'll want to arrive at least a half-hour before that for a seat. 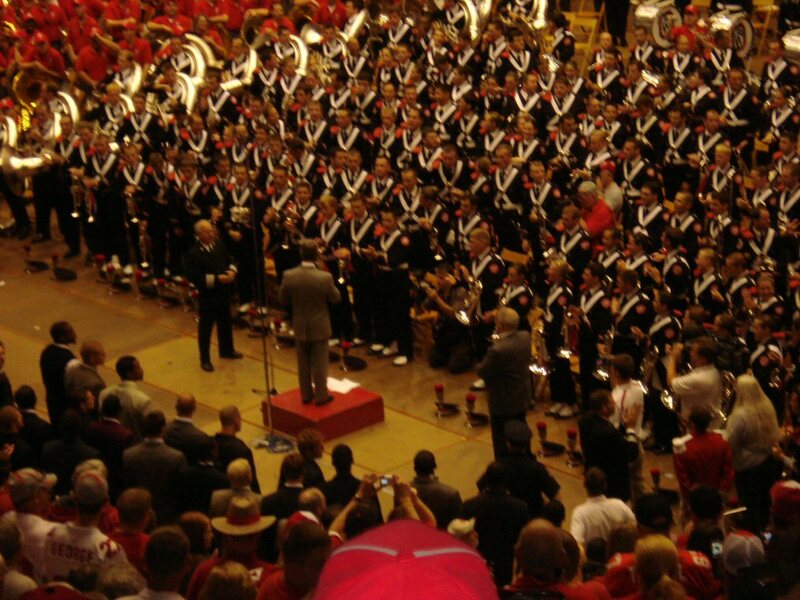 The place reverberates as the OSU Marching B and's percussion section shakes the rafters with its march onto the floor. Though you won't get to see the formations, you will get to hear the half time performance and see the drum majors work out. You'll also get a peek at the team. Tressel makes them march through on their way to the lockerroom and one of them will give a short pep talk. It's a great tradition. Afterwards, stroll through the parking area where the tailgating is going on. It's an art at OSU. 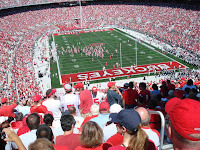 You will even be able to catch the game on the TVs that will be running off of generators for those who are tailgating without a ticket to the game. Ah, yes. Football season is here. Go Bucks!! Wow...always amazed that someone can march and play an instrument at the same time...surely not me!! Wordless Wednesday. . .on Thursday! It Is Well. . .
A Grandma By Any Other Name. . .